Mini Registration Holder, Upright Style. Conveniently stores your registration behind your license plate holder. Works great on Harley-Davidson and Metric Cruiser applications. 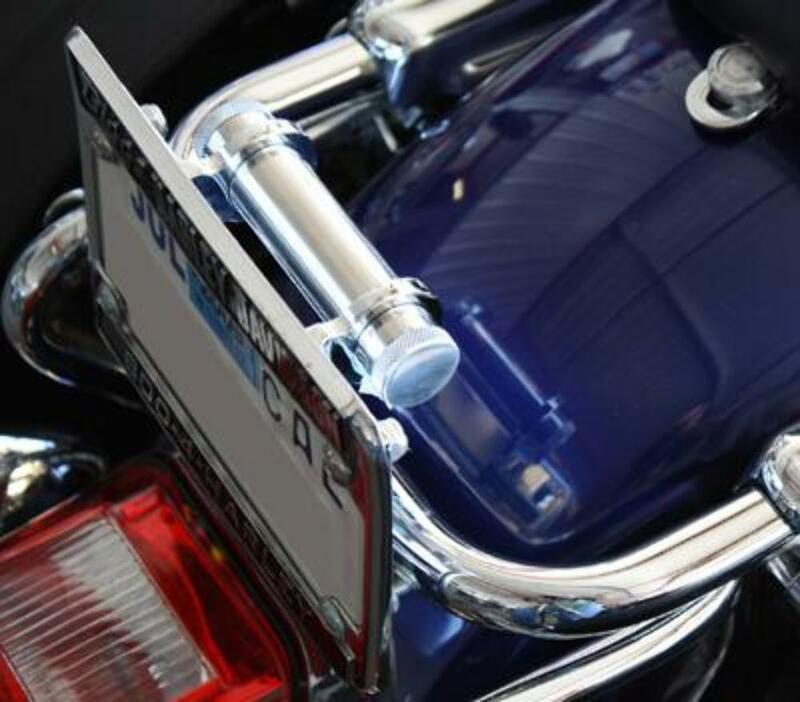 Adjustable brackets mount to the rear of most stock license plate assemblies. The hardware mounts through the front of the license frame. The end caps on the tube are sealed with O-rings to insure a water-tight seal. The length of the tube is 4.5". The Tube is constructed of polished Stainless Steel. 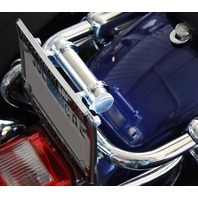 The brackets are machined from 6061-T6 Billet Aluminum, then polished and chrome plated. Includes all necessary Mounting hardware. Brackets Are CNC Machined from Billet Aluminum & Chrome Plated. 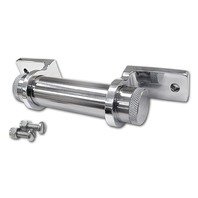 Storage Tube is Polished Stainless Steel. Caps seal with O-Rings for water-tight seal. Universal fit. Great for Harley-Davidson & Metric Cruisers. Includes all necessary Mounting hardware.